Afternoon of November 7, 2018. Wednesday. Dream #: 18,951-07. Reading time: 40 sec. Readability score: 60. 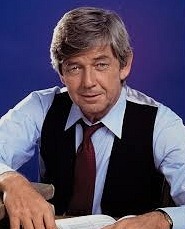 Ralph Waite as on the 1980s television series “The Mississippi” is the main speaker at a meeting in a business-like environment in a large office, though he sits at a desk while speaking. He is wearing a dark suit. I am semi-lucid, and in the back of my mind, I had been contemplating more precise terms for common induction, dreaming, and waking processes for statistical reasons. One of these was considering the statistical variation between male and female vestibular system simulacrums to see if there was a significant difference when part of the flight symbol subset. Ralph’s talk seems to be about the nature of dreams and laws regarding them, but I do not discern the content of what he is telling the other males. He has a hardcover book open and refers to it now and then. There is a slight change of mood, and Ralph sits atop a giant sparrow (suddenly outside the building) and flies off on it.